We're currently revising translations for packaging machines. Box goes in, product goes in, box filled with product goes out. Confusion has risen whether to use Karton, Kiste, Schachtel, Kasten or something different altogether for the word "box". They seem quite similar to each other. Sentences will be short and displayed on industrial interfaces. Boxes like that. Folded packaging boxes, possibly a bit more heavy duty than the ones in the picture. Are we using Karton correctly here? If not, what would be the better alternative? There are differences possible with all the choices of German words presented, true. These differences between Schachtel, Karton, Kiste, Kasten are already detailed in other answers. Other candidates in the same direction might be Packung, Päckchen. However, one aspect overlooked so far is the actual situation where this has to be adapted to. In an industrial application there are other factors to consider than Germanic pureness in language. These factors have to do with international communications, ergonomics and just plain display length available. German equivalents to perfectly understandable English words in user interfaces are quite often much longer when display size is limited. It is therefore perhaps something between perfectly acceptable to actually the better choice to leave this word almost untranslated: with Box (the translation here being the capitalisation). To drive it home: The word Box is a German word. Box f. ‘abgeteilter Raum, kastenförmiger Behälter’, im Dt. seit der 1. Hälfte des 19. Jhs., beruht auf Entlehnung von engl. box ‘Büchse, Kasten, abgesonderter Platz’. Dieses setzt aengl. box ‘Büchse, Behälter aus Buchsbaumholz’ fort, das sich wie dt. ↗Büchse (s. d.) über spätlat. und mlat. bezeugtes buxis (oder mlat. buxa?, vgl. FEW 9, 655) von lat. pyxis, griech. pyxís (πυξίς) ‘Büchse (aus Buchsbaumholz)’ herleiten läßt. Anyone still skeptical might consult "Rechtschreibung in der Box", "Rechtschreibung in der Box – Lernkärtchen mit Strategie(n), Klasse 3" that should be easy enough. Nur ist mit einer deutschen Box etwas anderes gemeint als mit dem englischen Wort box, wie deine Duden- und DWDS-Auszüge zeigen. In keinem Fall jedenfalls Verpackungskartons. 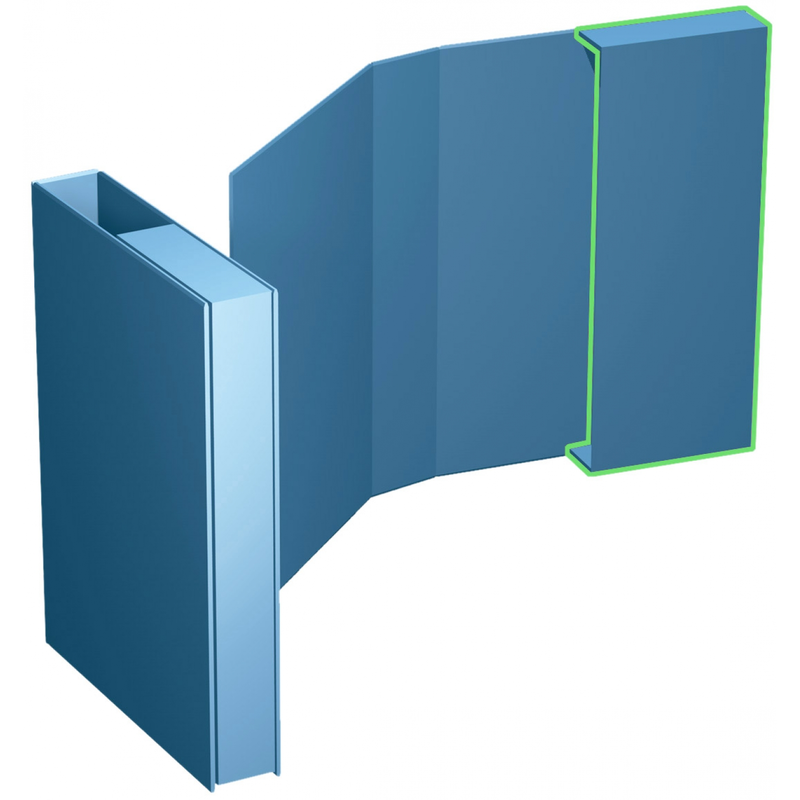 as Produktinformationen "Euroboxen S, 145x95x140mm, CP154.151015"
One thing to consider: a Box can be made of anything, it is quite generic in describing make, size and material. But Karton quite strongly implies that it is made from thicker paper. Depending on how "sturdy" the boxes you use are – be it laminated, from plastic etc. – the Karton may be not the best choice after all. These differences are all not absolutes but have quite subtle tendencies in meaning. Every German user should be able to understand the meaning of Box. From the alternatives available, Box is the shortest native word that has also a larger field of possible applications. If you feel that using Box makes your display too short or not enough German sounding or looking, you may opt for a nice compound word in your last example: "Boxenschiebertür is geöffnet". What you have there is best described as Kartons. The plural die Produkte usually means different kinds of items. In your case, you may want to use Artikel instead. The latin word pro is widely understood in German, though the more natural German term is je. Same with je or pro. Door near box pusher is open — Tür am Kartonschiebegerät ist geöffnet. I understand this is a machine pushing the boxes forward. But Schieber unfortunately has a second meaning in German, it also means slider. Which may be understood as some wrinkle on the box. Better add -gerät to make sure it's understood the box pusher is meant. A cardboard box of unspecified size and strength, for example a Schuhkarton (shoebox). Also the name for cardboard as a material. A crate, made of wood or metal, more durable than regular cardboard. May be an extra-strong cardboard box. Pappkiste (cardboard crate) is a compound word people may invent on the spot if the difference is important. A small box used for shipping and for storing items that are easily broken. Hutschachtel comes to mind, but also Schuhschachtel. Used also for boxes inside bigger boxes. The verb verschachteln means to put things into things. A cuboid-shaped item. Not necessarily a box. Often used as a derogatory of questionable design or appraisal for sheer size (if nothing else). If used to describe a box, it's a rather tough one. As Kilian Foth said in his comment, Karton is the best word to use here. A Schachtel is generally too small (usually smaller than a shoe box), a Kiste (or a Kasten) usually made from more solid material (like wood) -- that would be a chest or a crate. 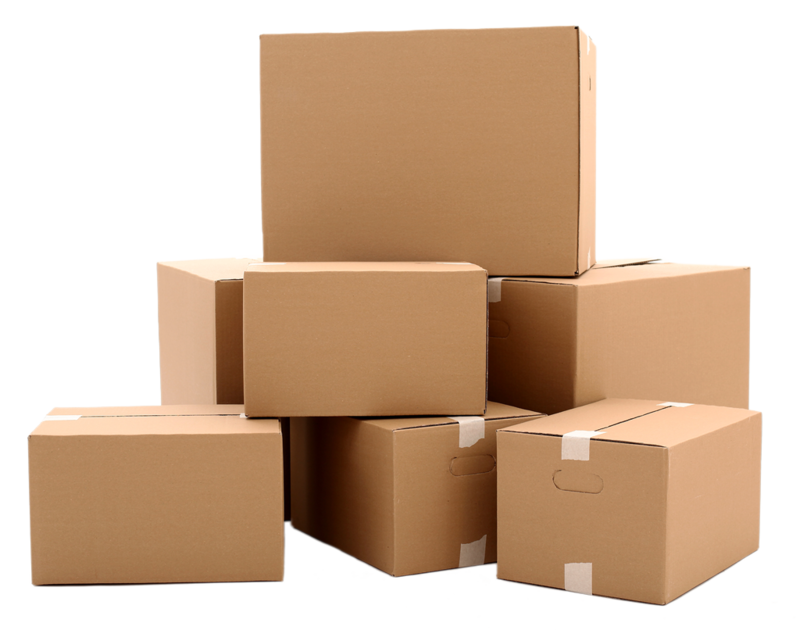 While Kartons can come in different sizes, they would normally be compounded to indicate that, as in Schuhkarton (shoe box) or Umzugskarton (box used when packaging things up for moving house). Without any modifier I would assume them to be about the sizes shown on your photo. I would use Karton, because that's what we're seeing in the picture. 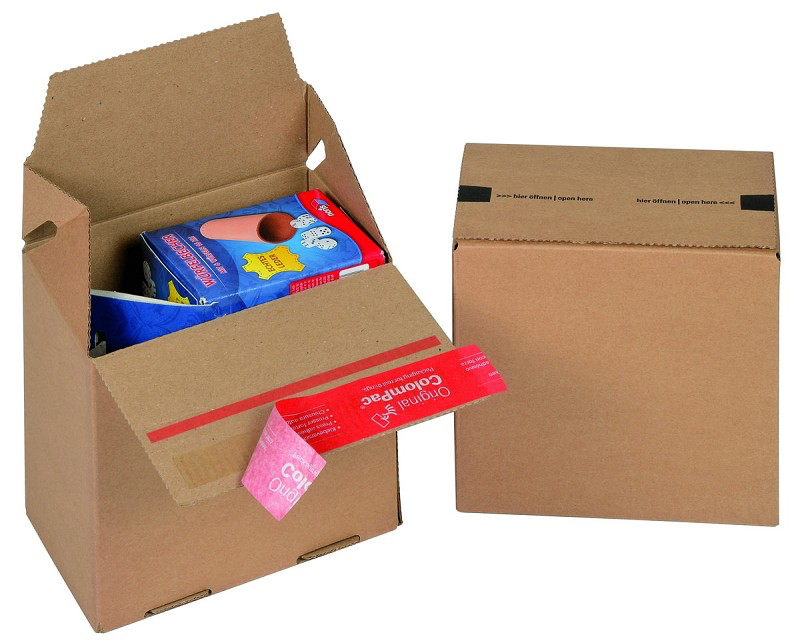 Kartons can be of different size, so if you're using solely carboard boxes, Karton is correct. Kiste means crate and ist mostly made of plastic or wood. Schachtel would be much smaller and of thinner cardboard. As a native speaker I would just use the word Box. Kiste is more likely something with a hard woodenlike casematerial. Kartons are those pictured. But Box could be used too in a more general way. Schachtel is more like a little Karton-Box where your shoes are packed inside when buying new shoes. Kaste: I wouldn't recommend to use this word as it is not used for boxes. Not the answer you're looking for? Browse other questions tagged translation word-usage english-to-german word-choice single-word-request or ask your own question.